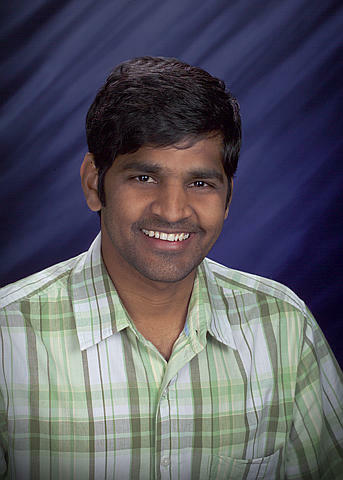 Prior to his appointment at PNNL, Dr. Thallapally was a postdoctoral research fellow at University of Missouri-Columbia working with Prof. Jerry L. Atwood. During his stay at Columbia, he developed porous organic and metal organic frameworks for Gas (Hydrogen, Methane and Acetylene) storage and separation (CO2) applications. He is major contributor for DOE - EERE collaborative project with PNNL on crystalline solids for Hydrogen storage applications and played a major role in The Alliance for Collaborative Research in Alternative Fuel Technology (ALL-CRAFT) program on materials for Methane Storage Applications. His work has been highlighted in several external press including Science Editorial Choice [Science 2005], Chemical Engineering News, several highly accessed and hot articles in Angew Chem Int. Ed., and Chemical Communications. Dr. Thallapally currently is a scientist working on the development of Hierarchical porous materials for Energy and Environmental applications including gas storage, separation heating and cooling and so on. 2008:“Ronald L. Brodzinski Award for Early Career Exceptional Achievement” at Pacific Northwest National Laboratory. 2008-2010: Travel Grant from Department of Science and Technology (DST), India in collaboration with PNNL. 1999: Senior Research Fellowship, Council of Scientific and Industrial Research (CSIR), India. 1997: Junior Research Fellowship, Council of Scientific and Industrial Research (CSIR), India. McGrail B.P., P.K. Thallapally, J. Liu, and S.K. Nune. 2017. Magnetic Partitioning Nanofluid for Rare Earth Extraction from Geothermal Fluids. PNNL-26721. Richland, WA: Pacific Northwest National Laboratory. Motkuri R.K., J. Liu, C.A. Fernandez, S.K. Nune, P.K. Thallapally, and B.P. McGrail. 2014. "Metal-Organic Frameworks - Synthesis and Applications." In Industrial Catalysis and Separations: Innovations for Process Intensification, edited by KV Raghavan and BM Reddy. 61-103. Waretown, New Jersey:Apple Academic Press Inc. PNNL-SA-97713. Motkuri R.K., P.K. Thallapally, and B.P. McGrail. 2013. "Porous Hexacyanometalates for CO2 capture applications." Proceedings of A.P. Akademi of Sciences XV, no. 2:81-84. PNNL-SA-93375. Thallapally P.K., J. Liu, and D.M. Strachan. 2013. Demonstrate the removal efficiency and capacity of MOF materials for krypton recovery. PNNL-22693. Richland, WA: Pacific Northwest National Laboratory. Ecker L., S. Ghose, S. Gill, P.K. Thallapally, and D.M. Strachan. 2012. Engineering Report on the Fission Gas Getter Concept. PNNL-22138. Richland, WA: Pacific Northwest National Laboratory. Thallapally P.K., and D.M. Strachan. 2012. Initial proof-of-principle for near room temperature Xe and Kr separation from air with MOFs. PNNL-21452. Richland, WA: Pacific Northwest National Laboratory. Tian J., P.K. Thallapally, and B.P. McGrail. 2012. "Gas Storage and Separation in Supramolecular Materials." In Supramolecular Chemistry: From Molecules to Nanomaterials, edited by JW Steed and PA Gale. 3133-3152. Hoboken, New Jersey:Wiley. PNNL-SA-74064. Tian J., P.K. Thallapally, and B.P. McGrail. 2012. "Porous Organic Molecular Materials." CrystEngComm 14, no. 6:1909 - 1919. PNNL-SA-83797. Strachan D.M., J. Chun, J. Matyas, W.C. Lepry, B.J. Riley, J.V. Ryan, and P.K. Thallapally. 2011. Summary Report on the Volatile Radionuclide and Immobilization Research for FY2011 at PNNL. PNNL-20807. Richland, WA: Pacific Northwest National Laboratory. Daschbach J.L., X. Sun, P.K. Thallapally, B.P. McGrail, and L.X. Dang. 2010. "Grand Canonical Monte Carlo studies of CO2 and CH4 adsorption in p-tert-butylcalixarene." Journal of Physical Chemistry B 114, no. 17:5764-5768. PNNL-SA-67808. Gu Z., Y. Cai, H. Fang, Z. Zhou, P.K. Thallapally, J. Tian, and J. Liu, et al. 2010. "Conversion of Nonporous Helical Cadmium Organic Famework to a Porous Form." Chemical Communications 46, no. 29:5373-5375. PNNL-SA-72526. Nune S.K., P.K. Thallapally, A. Dohnalkova, C.M. Wang, J. Liu, and G.J. Exarhos. 2010. "Synthesis and Properties of Nano Zeolitic Imidazolate Frameworks." Chemical Communications 46, no. 27:4878-4880. PNNL-SA-70605. Strachan D.M., J. Chun, C.H. Henager, J. Matyas, B.J. Riley, J.V. Ryan, and P.K. Thallapally. 2010. Summary Report for the Development of Materials for Volatile Radionuclides. PNNL-20007. Richland, WA: Pacific Northwest National Laboratory. Nune S.K., P. Gunda, P.K. Thallapally, Y. Lin, L.M. Forrest, and C.J. Berkland. 2009. "Nanoparticles for Biomedical Imaging." Expert Opinion on Drug Delivery 6, no. 11:1175-1194. PNNL-SA-67470. Strachan D.M., S.A. Bryan, C.H. Henager, T.G. Levitskaia, J. Matyas, P.K. Thallapally, and R.D. Scheele, et al. 2009. Processes for Removal and Immobilization of 14C, 129I, and 85Kr. PNNL-18852. Richland, WA: Pacific Northwest National Laboratory. Tian J., P.K. Thallapally, S.J. Dalgarno, and J.L. Atwood. 2009. "Free Transport of Water and CO2 in Nonporous Hydrophobic Clarithromycin Form II Crystals." Journal of the American Chemical Society 131, no. 37:p.13216-13217. PNNL-SA-69178. Tian J., P.K. Thallapally, S.J. Dalgarno, B.P. McGrail, J.L. Atwood, and J.L. Atwood. 2009. "Amorphous Molecular Organic Solids for Gas Adsorption." Angewandte Chemie International Edition 48, no. 30:5492 -5495. PNNL-SA-64268. Daschbach J.L., P.K. Thallapally, J.L. Atwood, J.L. Atwood, B.P. McGrail, and L.X. Dang. 2007. "Free energies of CO2/H-2 capture by p-tert-butylcalixarene. A molecular dynamics study." Journal of Chemical Physics 127, no. 10:Art. No. 104702. PNNL-SA-55095.